The Portwest FR93 Bizflame Ultra Coverall is independently certified to five international safety standards, the Bizflame Ultra coverall is built for versatility. 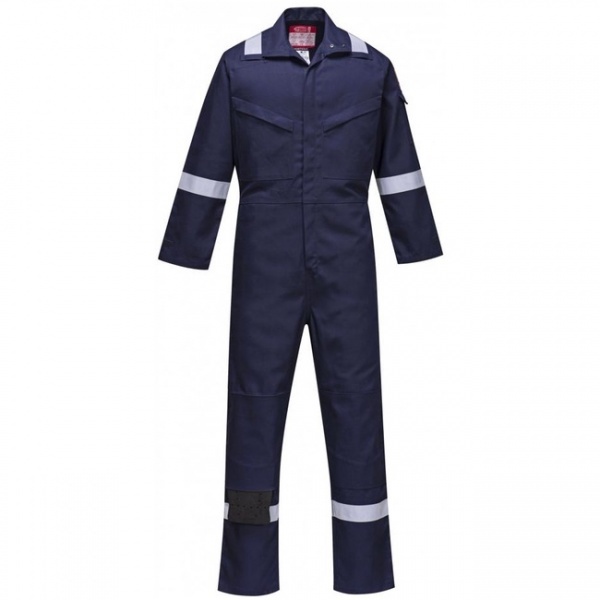 The special FR polyester in the fabric ensures maximum longevity in the toughest environments. Regular Leg 31" adjustable to Tall 33"
Bizflame Ultra is blended from 80% cotton, 19% FR polyester and 1% carbon fibre, 340g. The FR polyester content in Bizflame Ultra provides excellent abrasion, shrinkage and colour fastness. 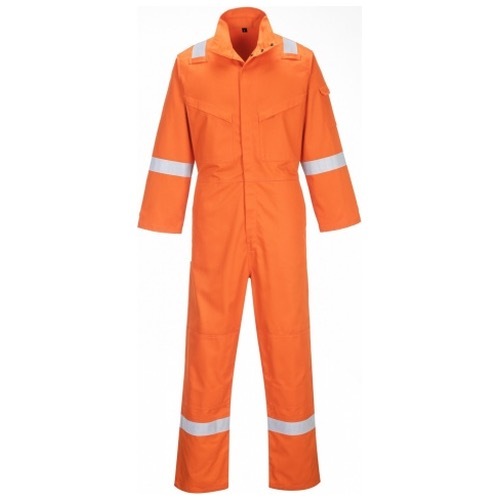 The fabric is tough enough to withstand the rigours of industrial laundry making it ideal for the off shore industry.